Explanation: Late last year, a new, remarkably bright storm erupted in Saturn's northern hemisphere. Nicknamed "the Serpent Storm", the northern hemisphere disturbance is still going strong and now circles far around the planet. Offering spectacular space-based views to the Saturn-orbiting Cassini spacecraft, the storm shows enough contrast with the banded cloud tops to be visible with even modest ground-based equipment, as seen in this sharp image from Buena Vista, Georgia, USA, planet Earth. 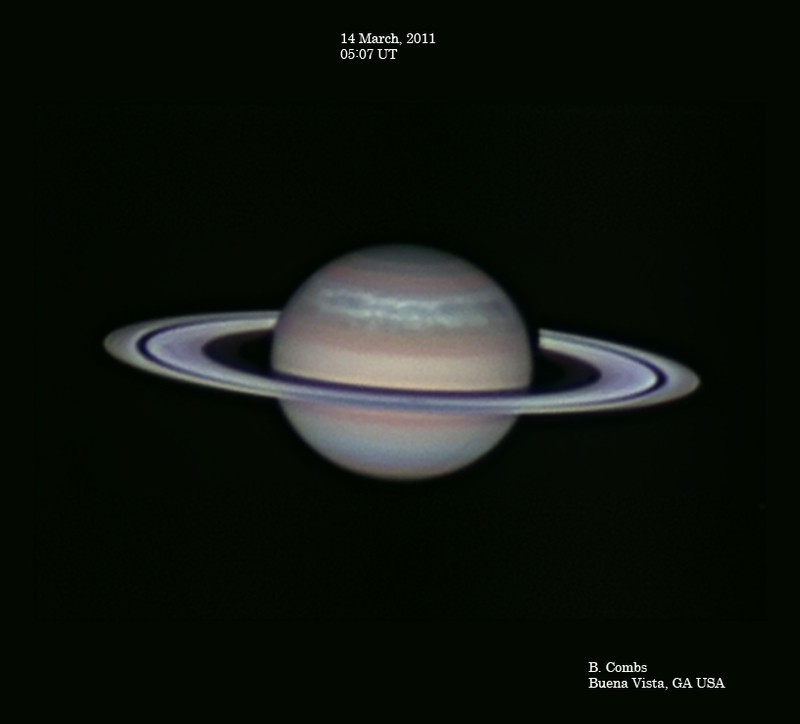 Amateur astronomers first spotted the bright storm in early December 2010, with the ringed gas giant rising in predawn skies, and continue to monitor the storm's progress.